Take a quick glimpse of this season’s greatest trend. Sweaters, bonfires, and pumpkin flavored everything can only mean one thing… that’s right, our favorite season, FALL! As more and more new merchandise filters through our doors, our racks and shelves are being stocked with this season’s sweaters, vests, and jackets. A truly beautiful sight! 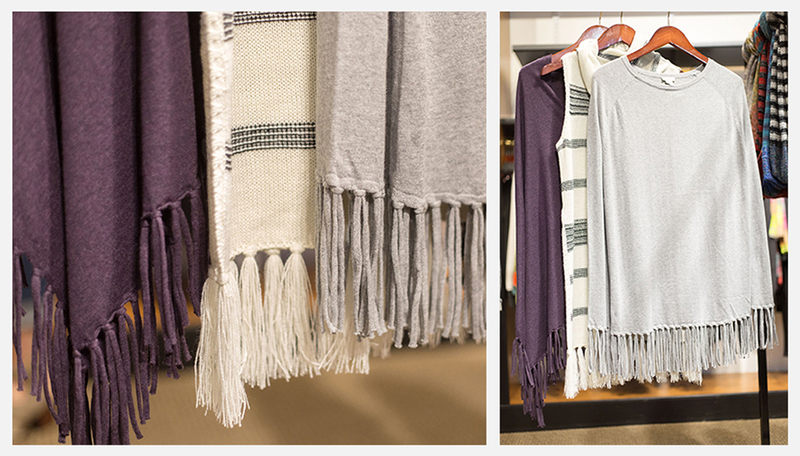 Summer is wonderful in its own way, but we are ready for cooler weather, and our favorite… layered looks! This season is all about the fur! 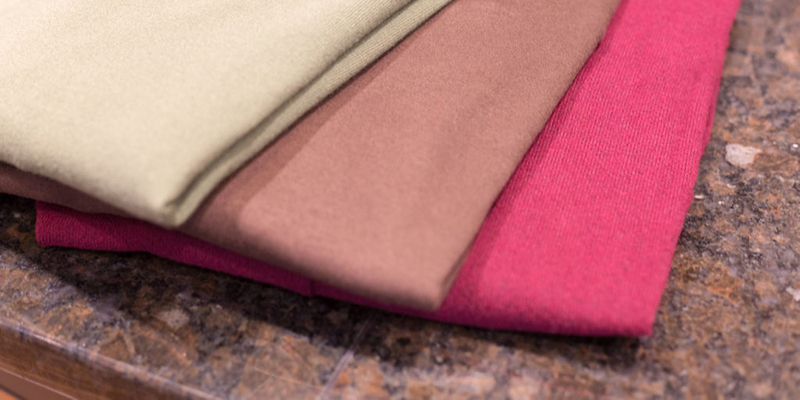 It’s soft and adds texture to the simplest of outfits. 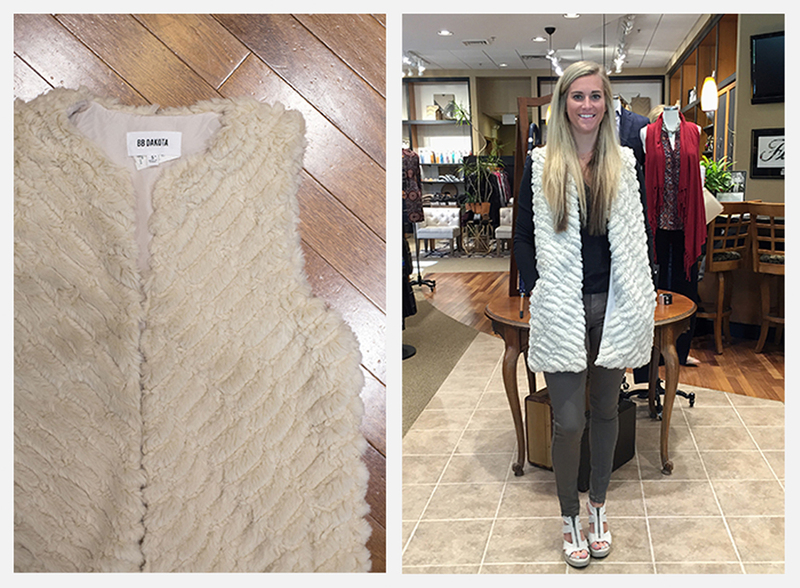 This warm and cozy faux fur vest is perfect for crisp Fall days. That’s right! We are taking it back to the roaring 20’s with this trend! 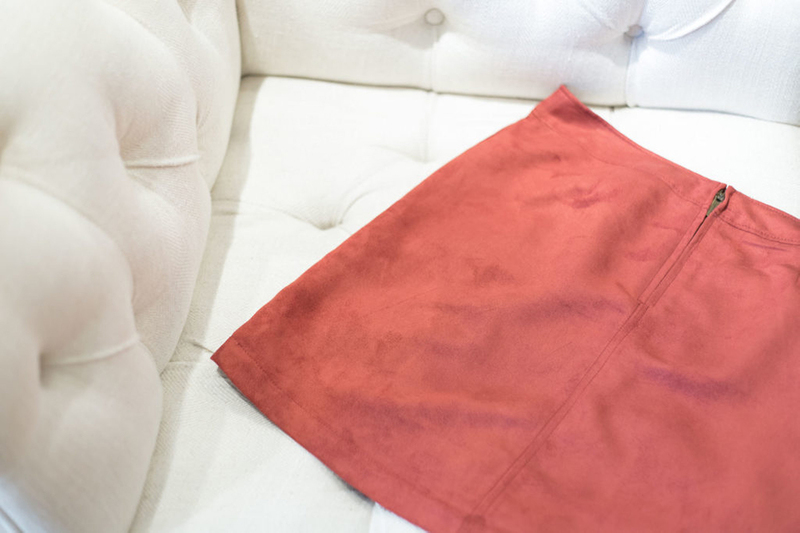 Bringing a fun new texture to fall fashion, this trend can add a little extra flare to your outfit. Are lace-ups the new button-down? 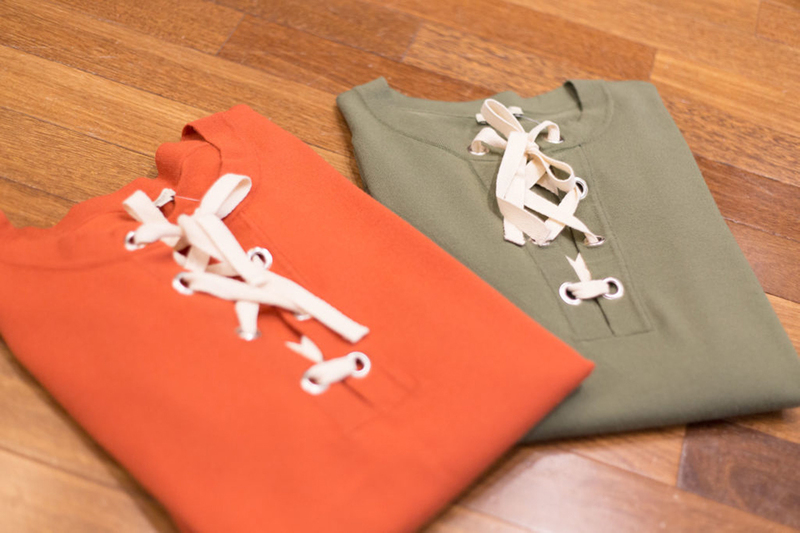 I mean, button-downs will always be a classic choice in any season, but these adorable lace-up tops are really going to set your outfit apart this Fall! Suede always takes me back to the 70’s, but suede button-down skirts, bags, and jackets are all the rage this season. You can go for a boho look, or pair suede with classic silhouettes for a more streamlined look! Never failing to add a sleek addition to any outfit, leather is another hot trend this season. This sleek and edgy leather dress is the perfect, yet unexpected, addition to the LBD section of your closet! Always a classic choice in footwear. High heels are feminine and can add the perfect touch of elegance to casual outfits. Already dressed for success? 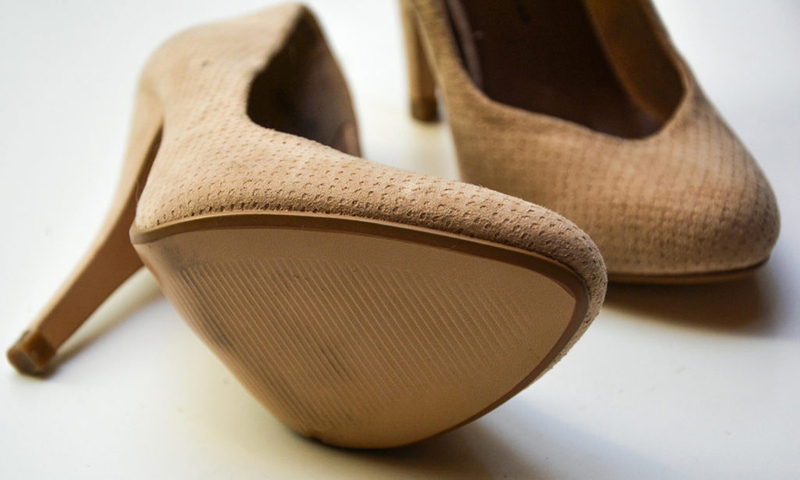 You can always count on a good pair of heels to bring your outfit together. Okay, so the colors of foliage definitely make Fall one of the most beautiful seasons. This season’s trends are embracing those colors! Get ready for plenty of olive greens, browns, and burgundies this Fall!